You’ve met your soul mate, said yes to the biggest question of your life, and now you’re in full planning mode. You may have been prepared, but like so many others you might be finding that there’s a lot more that goes into planning a wedding than you originally thought, and then there’s also the honeymoon to think about. It’s enough to overwhelm even the most prepared brides. But don’t worry, there is help. Sandals WeddingMoon Virtual Party is an excellent way to kickstart your ultimate romantic adventure. What is a WeddingMoon Virtual Party? It’s an incredibly simple way to get a ton of information about having the ultimate wedding and honeymoon experience at one of Sandals romantic resorts. You and your fiance simply login during one of their parties and you’ll have access to the Romance Specialist at Sandals Resorts. 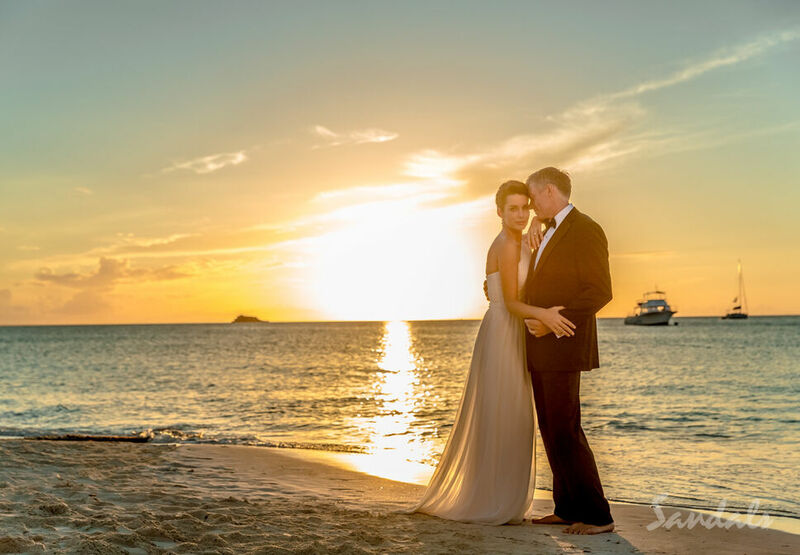 They’ll talk to you about what a Sandals WeddingMoon experience is like, and give you helpful tips about throwing your own WeddingMoon in the Caribbean. Why not? Planning a wedding, reception, and honeymoon is overwhelming. That’s a lot of travel, accommodations, and venues to book. But, if you choose to have a Sandals WeddingMoon it all becomes much easier. You’ll have one destination, and everything you could possibly need is right at your fingertips. From romantic and breathtaking views for your vows to large beautiful areas for your reception, you can have it all in one place. Plus, you’ll have all the help you could ever need from the romantic experts at Sandals. Then, after you say I do and celebrate with family and friends, you can start your honeymoon right there at the resort. Sandals if famous for being the perfect romance destination for couples who are head over heals in love with each other. 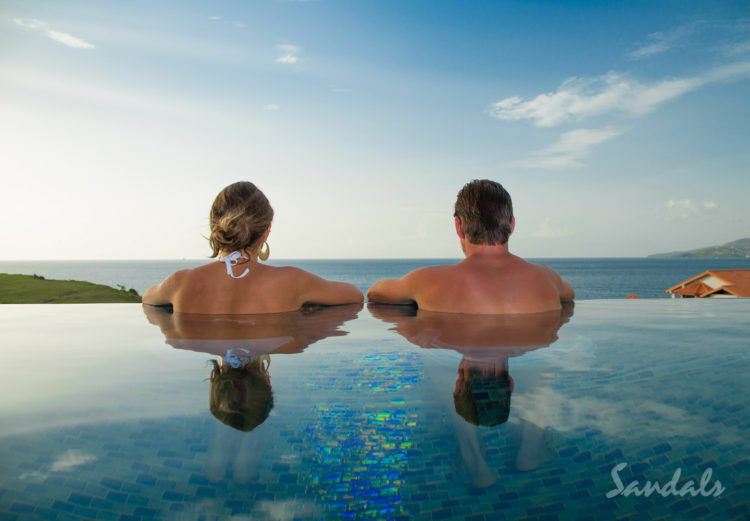 Sandals resorts have created several different resorts that cater specifically to those who can’t take their eyes off one another. You’ll create memories you’ll cherish the rest of your life and all in one convenient location. The months or years that you’re engaged should be cherished. You should spend that time dreaming about your big day, looking into your soul mate’s eyes like they’re the only person in the world, and shopping for that perfect dress. You shouldn’t spend it wanting to pull out your hair and scream at the top of your lungs, yet that’s how some people spend that precious time. It’s not their fault, weddings are stressful. That’s why it’s great to have help from people who know romance, weddings, parties, and the destination like the back of their hand. With Sandals expert staff you have all of that. They will focus on the details, and the planning, so you can focus on all that dreamy lovey-dovey stuff that makes everyone around you swoon. You’re getting married, you deserve to be happier than ever. Again, Sandals has made your wedding planning easier with their theme options. You can create your own custom theme, creating your dream come true right before your eyes, or you can choose from one of their six pre-made themes. It doesn’t get any easier than that. Each of their themes is romantic, beautiful, and perfect for that dream wedding in the Caribbean. So, if you’re looking for the answer to “where should we have our wedding,” “what theme should we choose,” and “where should we have our honeymoon,” then log into the Sandals WeddingMoons Virtual Party and learn about the romantic experience you can have at Sandals. For more information on romantic travel please contact us. We look forward to serving you soon.